Protect your bank, branches, credit union, and other financial services institutions with a high-tech security solution that reduces your risk and protects your bottom line. You need a trusted partner who understands the security issues of banks and financial institutions and who can tailor a solution that covers all your needs. Video surveillance. Help your security staff with eyes in other places without adding more headcount with video surveillance. Access control. Control access to restricted areas for authorized individuals only. You can choose from a range of access control technologies to fit any situation. ID badges and cards. Another important visual identification means are ID badges or cards. 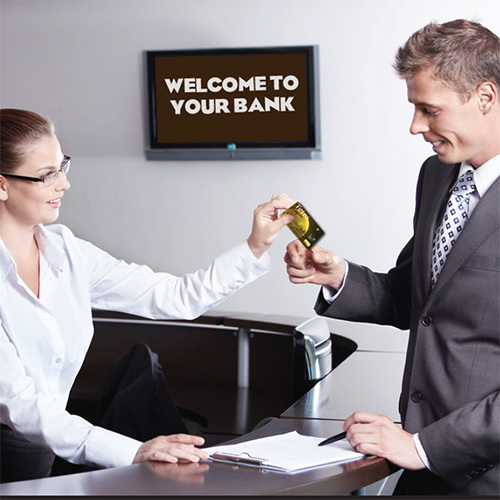 Get a custom card solution that represents your financial institution professionally. Visitor management. If your staff regularly meets with visitors, you'll need a robust visitor management system that handles check-in and can even track where visitors are. A trusted security partner like Idesco can help you meet compliance requirements while providing a secure solution that's protected 24/7 by an expert security service team. Get the peace of mind knowing your assets, your customers' assets, and your bottom line is being protected by the leading security solution provider in New York.